It is usually done by hand, especially during the production of prototypes that are not intended for mass production. While any metal can be used that is able to take sheet form, copper, titanium, aluminum and stainless steel are the best suited materials because they are ductile, meaning they will stretch and bend before they break. 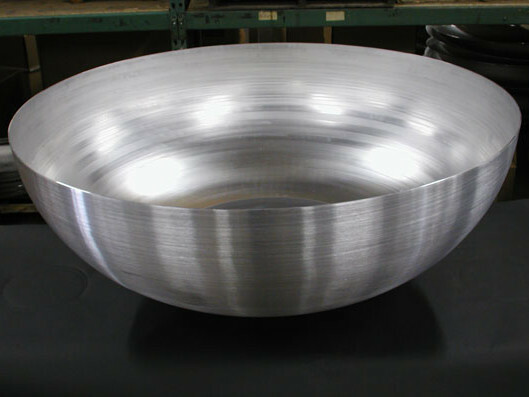 Sheet Metal Spinning – Acme Metal Spinning Inc.
Sheet metal spinning can form products that are bell-shaped, spherical, tubular or cylindrical, including bowls, colanders, pots, tank heads, decorative and ornamental products, funnels, pressure vessels, lighting and lamp housings and even bells. Metal spinning manufacturers design these products for the food and beverage, lighting, marine, military, aerospace, pharmaceutical and many other industries. 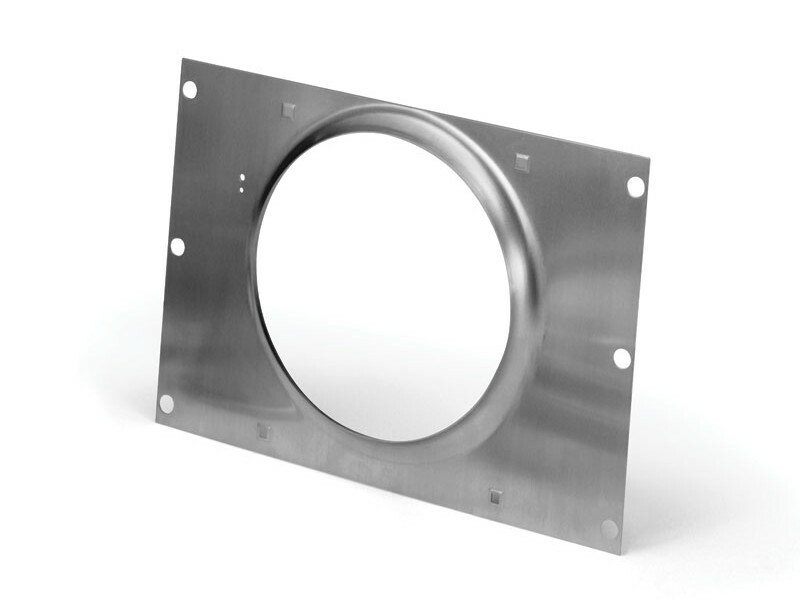 The sheet metal spinning process begins when the sheet is cut to a certain size and attached to a lathe mandrel, which spins at very high rpm. The sheet metal is then slowly forced with hand held tools and rollers to form over the mandrel, and it slowly takes the shape of the desired part. This may be a physically demanding job, depending on the size and thickness of the part, type of metal and experience of the metal spinner. Each product takes between five and ten minutes to complete, and there is little to no waste or scrap generated. The final product has a smooth exterior and interior, high shine and no wrinkling or warbling. Spin forming of any kind is a cold working process, meaning the metal is not heated and is worked at or around room temperature. Therefore, the tensile strength and ductility of the metal is retained or increased after forming, which means that spun metal products fare well in a number of applications and environments. Sheet Metal Spinning The metal spinning process is done by metal spinning manufacturers while designing preforms for new products because it is fast and inexpensive.